A metro man is lucky to be OK after his car caught fire on I-670. 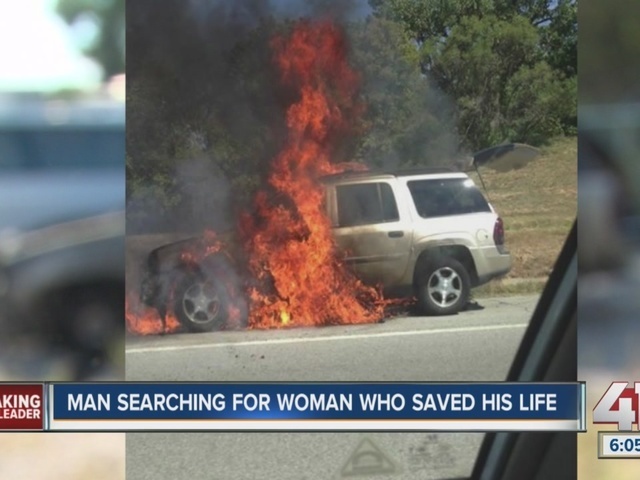 Now he's looking for the woman who he says helped save his life. Brian Orlich said he is lucky to be alive. On Saturday, he was driving alone westbound on Interstate 670 when his 2006 gold Chevrolet Trailblazer struck a mattress. At the time, Orlich did not know the mattress coils cut his car's fuel line and started a fire. All he noticed, at the time, was a stranger was trying to get his attention. "Literally, some lady is pointing get over, get over. And I'm thinking, ‘What is the deal?’ And the deal was, thankfully, she was trying to save my life," he said. Orlich first noticed the flames when he pulled over. He said he was "in a state of shock" and "frozen," but the woman opened his car door and pulled him out seconds before the flames become 20-feet high. The woman called 911, but before Orlich could ask her name, she was gone. "This person went out of her way to come save me, and she didn't even know who I was," he said. "If you were right here, right now, I would say thank you; you truly are my hero." 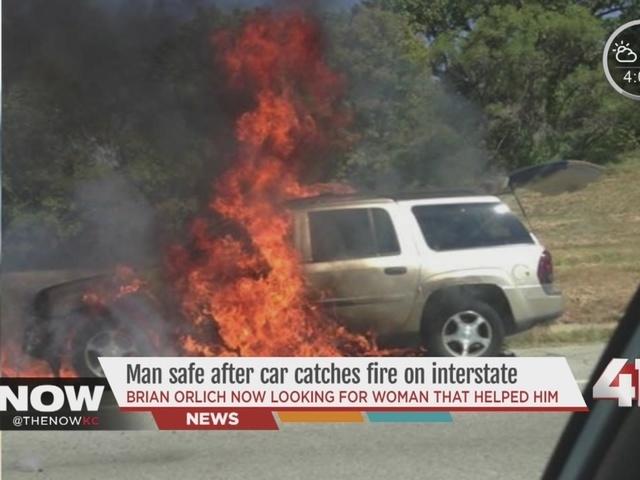 Orlich would like to find the woman who he credits with saving his life to give her a hug and say thank you. He said she is an African-American woman, possibly in her mid-30s or early-40s. On Saturday, she was driving a compact black car and wore a black shirt. She has a tattoo on her forearm and was wearing either purple or red nail polish. Ariel Rothfield can be reached at ariel.rothfield@kshb.com .